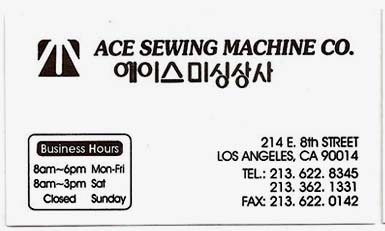 Eddy Sewing Machine is a new shop (for the Brother’s benefit), although other Angelinos have probably been taking advantage of it for many years. 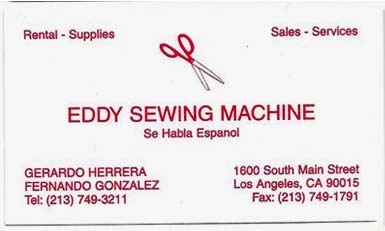 Eddy Sewing Machine is just around the corner from Alberoni’s, which is getting close to the southern most end of the Los Angeles fashion district around Main St. and 16th St. Eddy Sewing Machine may have been the smallest shop that was discovered on this journey. Although, it was very thorough in its inventory, had some very clean machines, and good help. This is the same shop that had the Singer 111 feet in an earlier post, as it is also the same shop that claimed it could in fact get needle feed presser feet with guides on them, but for an incredibly high price around $75.00 per foot, which is what cemented the idea that the existing feet for the Brother must be modified. One of their very clean machines was this Reece buttonholer. 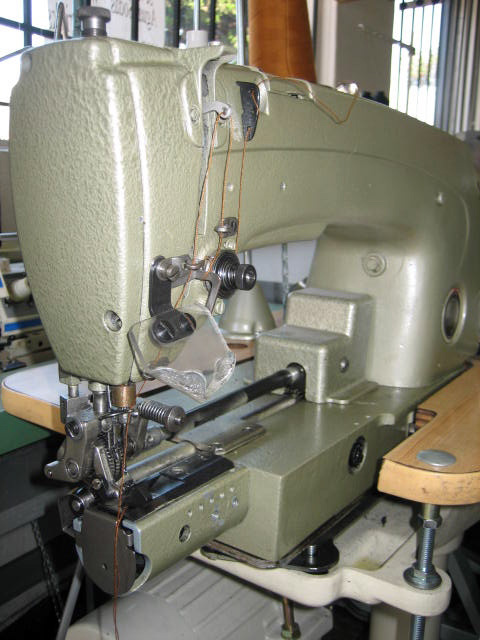 In hindsight it is a shame that more information about it was not available, because it is a true beauty of industrial sewing machines. In the closer shot you can see how perfect everything on the machine is. Whether or not it lays down a perfect button hole remains to be seen, but it would be hard to imagine that it would fall below par, this was/is a very clean machine. 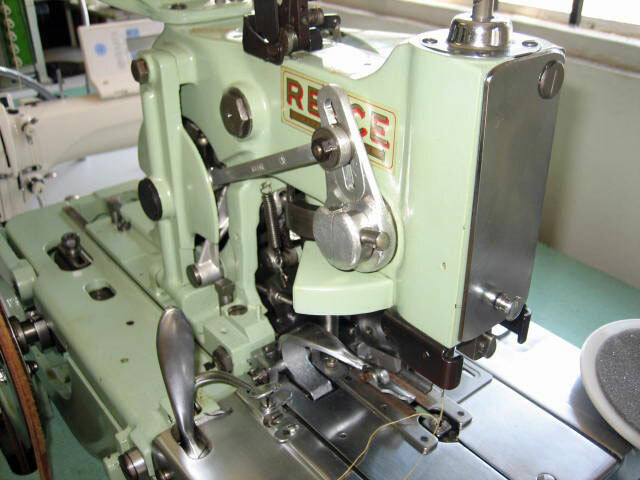 From what little information there is about Reece machines (hopefully more in time), they have a certain affinity towards the pocket holes, button holes, and other crevice type situations. One of the other interesting things (and also something to be discussed at greater length in time) about Eddy Sewing Machine was learning about the cylinder-bed style systems which are not on a table but instead held/cantilevered (cantilevered) above the ground and used for sewing pant legs, arm sleeves, and other tubular terms. Although, that is not necessarily the case, as they still do not sew tubes, but rather only one side of what would become a tube(?). Anyone know what this is, so far it is the grandaddy of all mystery machines. Rivera’s would have to be the most frequented shop of all. 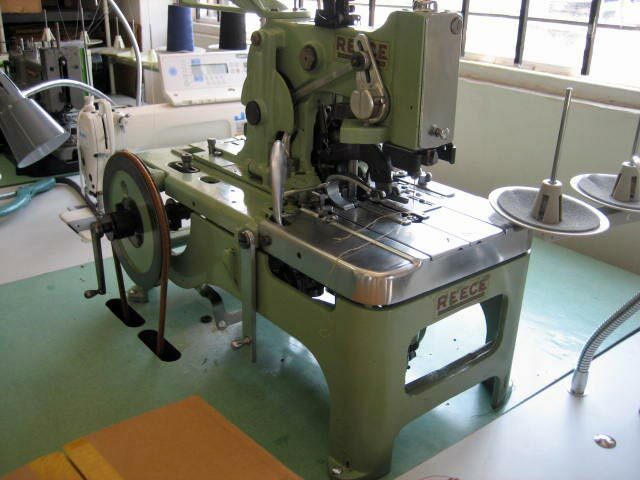 For the Brother DB2-B791-015, or the elder Singer 600WI, it is kind of the patriarch of these machines. Although neither of them were found at Rivera’s, the little shop has found a peculiar place as a the leading source for human to human information about the two machines (example; apparently the Singer 600WI models had timing belts/mechanisms in them, so although they did not have reverse, and were otherwise rudimentary machines, they ran with a lot of class and dedication and still do considering they were built in the 60’s). At Rivera’s talk to a guy named Denys. 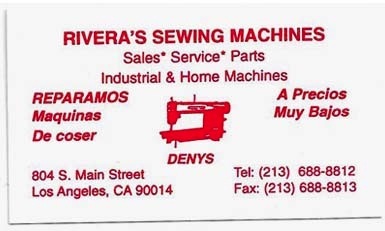 Denys has always been the go to guy for just about everything purchased in the Los Angeles area. 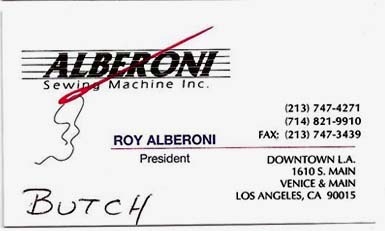 He is very friendly, extremely knowledgeable, always willing to talk, and most importantly – never forgets people and their machines. 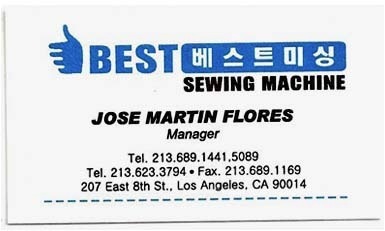 He carries a great selection of Linko Presser feet, new and used industrial machines (although not many plastic models [compact/transportable “home” machines]), lots of small parts, and a limited – but critical – selection of cutting tools from good shears, to pizza-wheel style, and others like the Blue Streak. 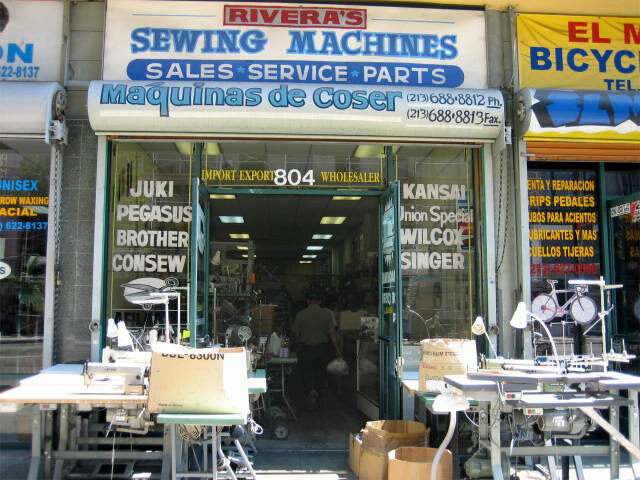 So while Rivera’s is probably only a third of the size of Bega, they are still a favorite for all the strange and uncommon things that industrial sewing machines need, and rely on. One of the strangest things was an old clutch motor with a Linko placard on it, does Linko make motors too? At the end of the day do not be afraid to hang out and watch what is going on, ask questions, or gaze into the sweet case – just keep in mind the tight space.